South Suburban Savings: FIVE New High Value Centrum Coupons + FREE Sample Offer! 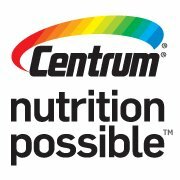 FIVE New High Value Centrum Coupons + FREE Sample Offer! In case you missed the offer before, it's not to request your FREE sample of Centrum Flavor Burst Chews when you CLICK HERE!